If you own a home you are likely aware of the tax benefits such as deducting your mortgage interest and property taxes. However, you may not be aware of the tax-free earnings you can take after you sell your home. Under the Taxpayers Relief Act of 1997, capital gains generated from the sale of a primary residence are tax-free. Individuals pay no taxes on profits up to $250,000. And, couples are allowed to combine their tax credit and exclude up to twice the amount from a home sale. The income exclusion is so lucrative many homeowners have adopted a lifestyle of home improvement with the hopes of buying low, selling high and making a handsome tax-free profit every two years. A little elbow grease invested in home improvements can generate a handsome reward on the day of sale. Imagine selling your home at a significant markup and paying no taxes on that income. Previously, profits from the sale of a home automatically triggered capital gains tax, unless that is, you plunked the profits back into another home with a bigger price tag. The only other option was a one-time exclusion of $125,000 if you were over 55. Under current tax law, there’s no need to apply your gains to the purchase of another home. Profits can be spent on a trip to Europe, or better yet, saved and invested. Capital gains is figured by taking the sale price of the house and subtracting your closing costs, realtor fees, and cost basis (what you paid for the house plus any significant house repairs). What’s left is your profit, or capital gains. If you are filing individually, any profits up to $250,000 ($500,000 if you are a couple) are yours to keep, tax free! Let’s consider an example. The Smiths purchased their home for $100,000. Over the years, they invest another $50,000 in renovations into the house. Once the kids leave for college, they decided to downsize. With many years of appreciation, the Smith’s home sold for $500,000. Fees and realtor’s commission aside, their profit on the house was $350,000 ($500,000-$150,000). Under the Taxpayer Relief Act, the Smiths pay no taxes on the $350,000 profit. Not bad. As with any great offer, there is of course, the fine print at the bottom. For one, you can only claim the exclusion every two years. And to qualify, you’ll need to pass two important tests: the “ownership” and “use” tests. The “ownership” test requires you to have owned the home for two years. To pass the “use” test, you must have lived in the home as your primary residence for two of the past five years. Your two years can be a combined total of 760 nonconsecutive days over a five-year period in which you lived in the home as your primary place of residence. Let’s look at another example. Newlyweds, Jack and Jill live in Manhattan. After their wedding, Jack moved into Jill’s townhouse, a home Jill had owned for the previous five years. Soon after their wedding, Jack and Jill decide to sell the home. They sell the home and make a profit of $400,000. In this example, although Jack and Jill were just married and ownership moved from individual to joint ownership, the home has not changed hands. Uncle Sam will allow them to pass the ownership test. But, to pass the “use” test, both parties must live in the house for two of the past five years. In this case, only Jill meets the criteria, so only $250,000 of the earnings can be excluded. Jack and Jill will have to pay capital gains tax on the remaining $150,000. Waiting until the two-year anniversary to sell your home will likely be worth the wait. Homeowners who sell their home before they reach the two-years mark will find no pot of tax-free gold at the end of the rainbow. 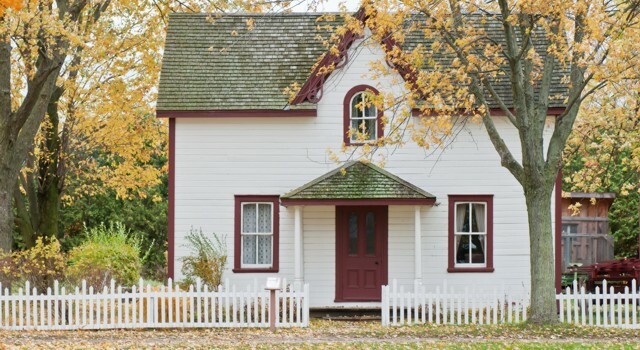 Any profits generated from the sale of a home which exceed your exclusion limit will be taxed at the long-term capital gains tax rate of either 5 or 15 percent, depending on your tax bracket. Profits from the sale of a home owned for more than one year but less than two years will be taxed at the long-term capital gains of either 5 or 15 percent. Worse yet, homeowners buying and selling within a one year period are taxed at the ordinary income rate, anywhere from 10 to 35 percent. There are, however, some welcome exceptions to the rules. Members of the armed forces who are forced to relocate can take the full exemption regardless of how long they have owned their home. And, homeowners who relocate due to health reasons, divorce, or job reassignments may take a pro-rated exclusion if they don’t meet the full two-year “ownership” and “use” tests. If you are hoping to sell your vacation house – the one you visit for two weeks out of the year – you won’t qualify you for the exemption. However you might consider moving your official place of residence to your vacation house, live in it for two years, and then take the exclusion. In May 2006, President Bush signed into law new tax laws extending the lower capital gains tax rates until 2010. Through 2010, sellers who turn a profit over and above the exclusion limits will pay a maximum capital gain tax of 15 percent. Sellers in the lowest two tax brackets will see their capital gains rate of 5 percent in 2006 and 2007 drop to 0 percent from 2008 through 2010. After 2010, all long-term capital gains tax will move back up to 20 and 10 percent respectively. Of course, these considerations alone should not dictate when you sell your home but should be part of your overall financial plan. Visit the National Association of Personal Financial Advisors ( www.napfa.org ) to find a fee-only advisor in your area.